Dubai: The Emirates Authority for Standardisation and Metrology (ESMA) and the Department of Economic Development in Dubai (DED) are developing a new standard for Halal logistics, a senior government official said on Monday. “To boost the Halal industry locally and internationally, proper specifications and standards for halal logistic should be in place,” said Abdullah Al Maeeni, Director General of ESMA. “Accordingly, any activities along the supply chain such as handling, storage, and distribution must be done according to Sharia-compliant standards,” he said. Halal products cannot be mixed with haram products and must be segregated, Al Maeeni said. Al Maeeni was speaking to media on the sideline of a conference on compliance requirements and potential markets for halal products, organised by the Dubai Exports, the export promotion agency of the DED in association with ESMA. Al Maeeni called upon authorities to encourage the concept of halal logistics by looking at the potential of this industry overall. “Halal logistics doesn’t mean adding extra cost for compartmentalising the warehouse, food segregation according to its nature, and others,” he said. Awareness of halal logistics needs to be inculcated and exposed to the industry players and as well as to the public, he said. Currently there are 14 food factories that registered for the national halal trademark and that number is increasing, he said. 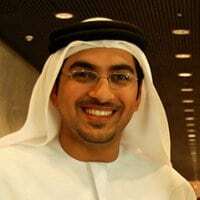 Dubai Exports will launch a halal portal, bringing all stakeholders in the export chain together, said Saeed Al Awadi, Chief Executive Officer of Dubai Exports. The portal will include a database about all UAE halal companies across all sectors — cosmetics, textiles, pharmaceuticals, clothes, hotels and others. “This will contribute in facilitating the growth of the halal industry as well as provide information that can help in finding a unified standard for this business segment,” he said. “We remain committed to supporting exporters in the UAE, and we will be shortly announcing our new Halal directory that will showcase UAE firms in the halal goods sector,” he said. Dubai’s march towards being the capital of Islamic economy and aimed to increase awareness among local businesses on halal requirements, encourage manufacturers to obtain halal certification and promote local halal products in markets overseas. “Export of Islamic products and services is critical to achieving the vision of our leadership to establish Dubai as the capital of Islamic economy by 2016. Dubai Exports is supporting the fast emerging Islamic economy portfolio in Dubai by encouraging local manufacturers and exporters to align their products and services to internationally accepted halal standards,” said Al Awadi.